The tandem conundrum. 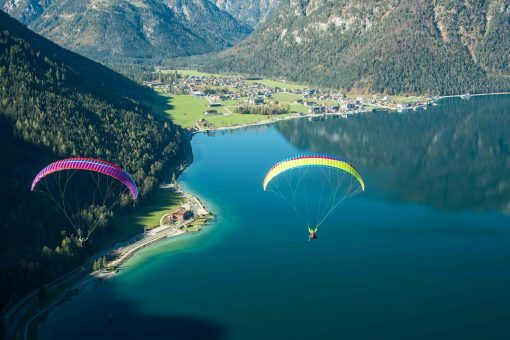 Many times you are forced to choose the ideal sized tandem; The choice between small or large. But have you considered simply having both? Imagine having the benefit of speed and performance in low weight loading, plus the ability to also carry heavy passengers? 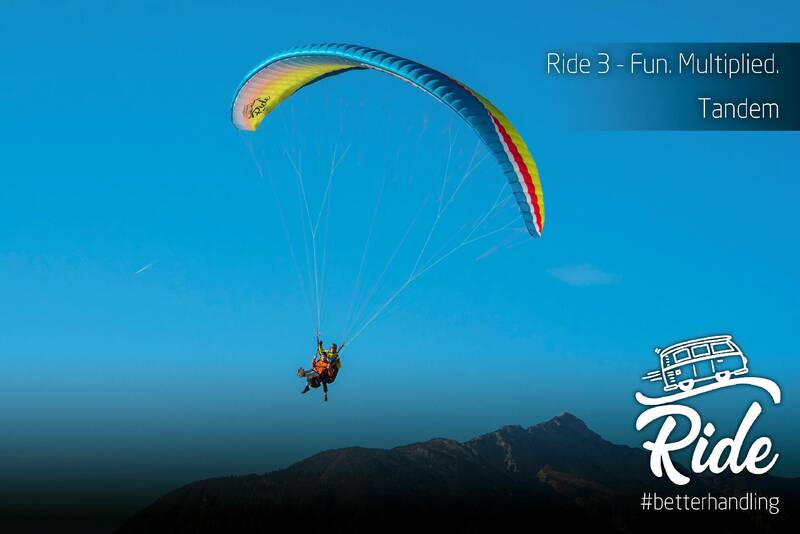 The Ride 3 is your ideal wing. 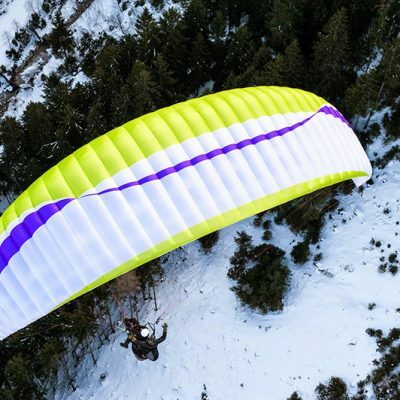 It flies extremely well at the lower weight range, but can be also loaded to the maximum parameter without compromise – providing you with the perfect extended weight range. The Ride 3 has the most practically and effectively usable certified weight range than any tandem in history. We realised this design concept by utilising new “high-lift-profile” à HLP. Size M: It’s an M size tandem. It’s not a small or large wing; therefore it sits in between the conventional sizing concept and is perfect for most tandem pilots (consider the L size if you are >95kg or are consistently loading your wing towards the higher end). 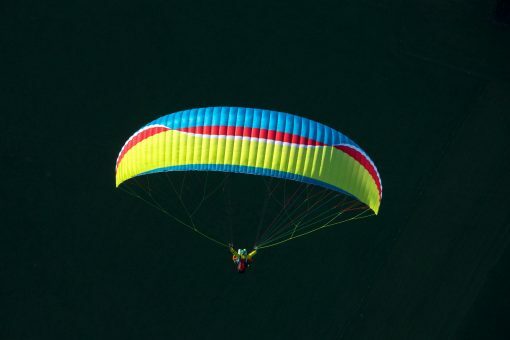 Size L: This sizing allows you to support a higher take-off weight, without compromising speed or performance characteristics when loading at the bottom end. Compact sizing also results in better handling and a wider speed range, offering a greater level of canopy stability and reduced overall glider weight. 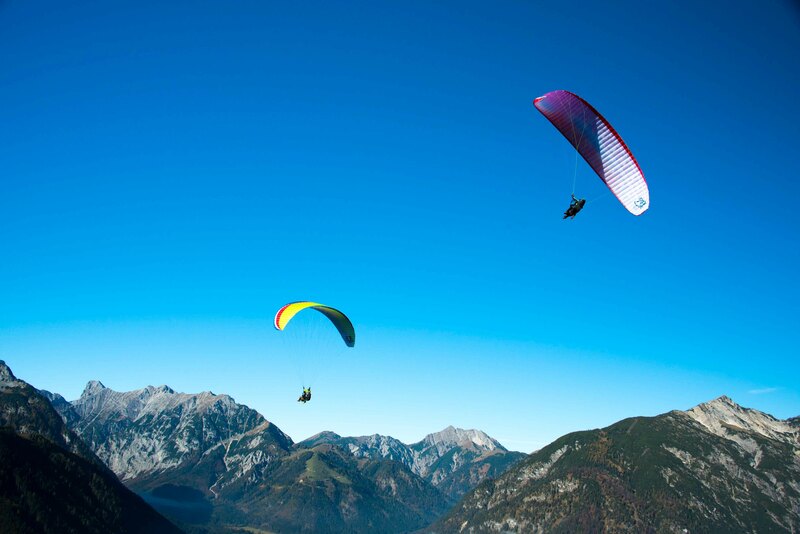 HLP profile provides excellent climbing characteristics as well as easy inflation and lift-off. The RIDE is already known for its excellent take-off manners, but we have been able to improve it yet again. You will now experience the easiest inflation and lift-off ever on the Ride 3. Simple inflation, without the tendency to overshoot. 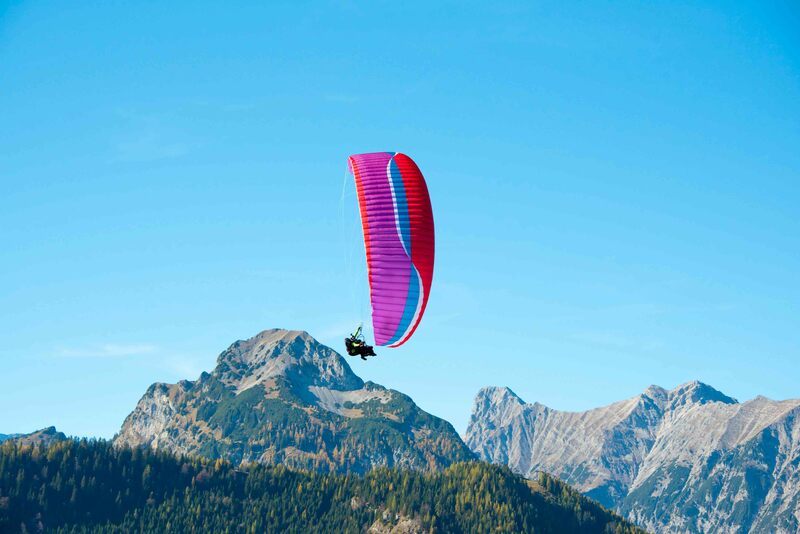 Once above head, the Ride 3 gracefully lifts pilot and passenger off the ground. You normally wouldn’t expect such brilliant handling and agility on a tandem, yet the Ride 3 has it all. If you like excitement, the new RIDE is a wingover machine. You’ll experience a new level of fun and agility. Flying tandems with heavy brake pressures all day can also lead to aching shoulders and arms, but you’ll be stoked to know that we’ve reduced the brake pressure to support long and relaxed flights with the pilot comfort in mind. The new high-lift-profile (HLP) in combination with the compact sizing provides a greater trimmer speed range, adding up to 11km/h when fully open, remaining ultra stable and manoeuvrable. Stability is another standout feature for the new Ride 3. Flying is comfortable and easy. Turbulence is well dampened, making not only yours, but your passenger’s flight more comfortable. We designed a very simple big-ears system – no clamps, pulleys or other complicated processes. You simply hook the outer split-A riser at the spreader ball keeper for stable and fuss-free height loss. Landing has never been this effortless. The Ride 3 exhibits impeccable flare-ability, ensuring that you land with the same level of comfort that you would expect from a solo glider. It’s that simple. Finally: Performance. For some it’s not a must, but the Ride 3 has simply taken it to the next level. 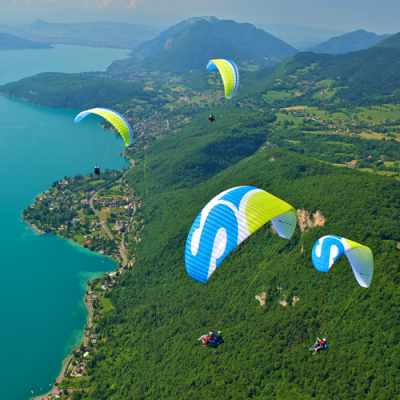 From a performance perspective, the Ride 3 rivals performance offered by high-end EN-B solo wings. We are using a durable and long proven material mix, however we have achieved a lighter overall product weight due to new construction technologies and revised sizing achievable via the HLP concept. The M size is now the standard size for most pilots. If you are a heavier pilot (>90kg) or find that you are consistently loading your wing at higher end, then you may consider the L size. High Lift Profile (HLP): Provides greater lift compared to standard profiles. 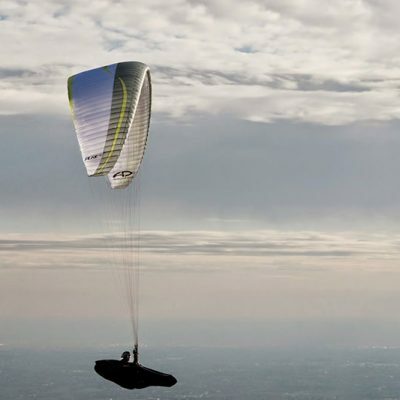 Therefore, it’s possible to load more weight on a compact sized glider and still have the feeling of lift that you‘d normally expect from a larger wing; giving perfect speed throughout the weight-range, incredible lift and awesome handling. Compact sizing: Ensures perfect flying characteristics on low loadings. Maintains handling agility and stability. Revised trimmer system: Extremely effective trimmer range enables excellent top speed – accelerating up to +11kmh when fully opened, while also ensuring that the wing is stable and handles perfectly. Reduced overall weight due to compact sizing and optimized inner construction utilising a durable time-proven material mix, ideal for commercial use. Rucksacks and/or Fastpacks must be ordered separately and are not included.